Back in the 90's, before Abe became a coffee snob, La Colombe was a cafe in Philadelphia near his parents' apartment in Rittenhouse Square. We lived in NYC at the time, and every time we took the train down to visit them, he'd stop by the cafe every morning for "the best coffee ever." At the time, all we knew were Starbucks and Dunkin Donuts, and this stuff was on another level. 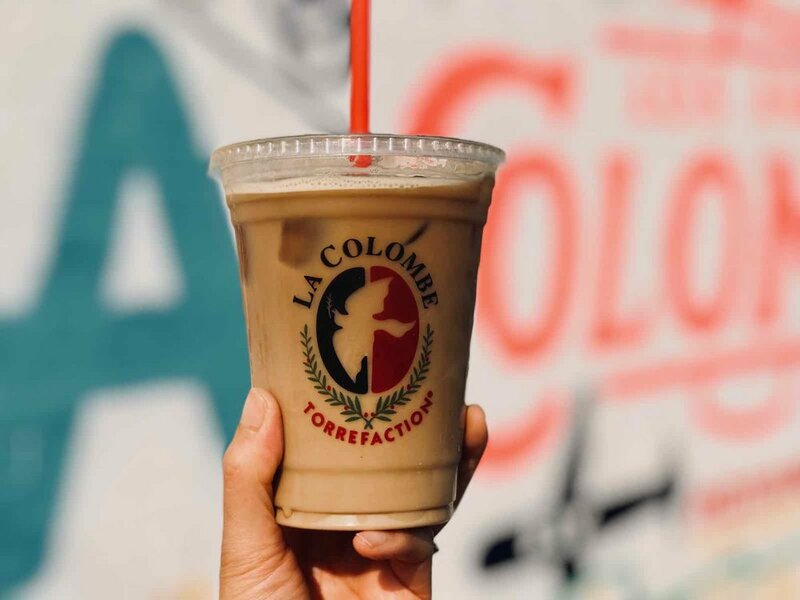 Now we have lots of high-end coffee options in LA (Go Get 'Em Tiger, Groundworks, LaMill, Civil Coffee, Coffee plus Food) but Abe was extra excited to experience an Iced Black and Tan Draft Latte from the newly opened La Colombe in Silverlake. You can grab the coffee in cans to go, too. Food-wise, there are pastries. I didn't see any gluten-free options, but I loved that they had free seltzer on tap.